Would another year of compulsory pre-school education be a good thing? The ANC, as part of their 2014 election manifesto, propose adding another year to the school timetable, in addition to Grade R, which is already being phased in. Chapter nine of the government’s development blueprint states that two years of quality preschool enrolment for 4-year-olds and 5-year-olds be made compulsory before Grade 1. Although in some ways this is an exciting demonstration of a real commitment to ECD, and potentially enables budgetary support for ECD, it also raises some concerns. The current roll-out of Grade R has been fraught we reports of low quality and poor teacher training, but additionally there are concerns from ECD experts with regards to formalising schooling too early. In an article published on the New Scientist website, David Whitebread, a developmental psychologist at the University of Cambridge and Sue Bingham, an early childhood education consultant, describe some of the concerns regarding the British system which prescribe formal schooling from 4 or 5 years of age. Read it here. Another interesting and relevant article comes from Dr Peter Gray, a research professor of psychology at Boston College. It draws attention to the importance of creating time and opportunity for children to play if we would like them to have happy, productive and moral lives. Read it here. 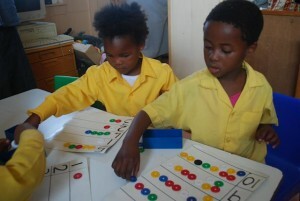 What do you think – would another year of compulsory pre-school education in South Africa be a good thing or not? In countries where there are large social and economic inequalities, one of the interesting challenges is balancing the importance of play alongside the compelling evidence that the early years is the crucial time to close gaps for children from disadvantaged backgrounds, including language and learning gaps. This necessarily requires formal interventions before school starts, as it seems that once the gap exists it tends to just get bigger. Prof Gray’s article is more about schools than the early years, but it still seems to slightly blur the distinction between formal provision and formal teaching/ learning – i.e. systems and structures vs methods and content. My feeling is that in order to improve outcomes for disadvantaged children, there is an urgent need to upscale formal ECD provision in South Africa and that as part of this there is a good case for a compulsory pre-Grade R year. But formal teaching should have no part in that provision. There should rather be a focus on child-led, open-ended play and exploration where adults can look for and facilitate learning opportunities, in particular those relating to language and the executive function skills Prof Gray talks about. In this way, an expansion of formal ECD services and a focus on play can together help to equalise learning outcomes for young children”.